Yes, the national parks are pretty great. But they could always be better! That's why our award-winning Projects team continues to improve on the parklands and visitor experiences. Through new and enhanced trails, restored natural and cultural landscapes, and sustainably built facilities and amenities, we're working to make the Golden Gate National Parks more vibrant, more resilient, and more welcoming for all. None of this would be possible without the support of our members and park community, so thank you for helping us put the extra shine on these gems! Restoration of the native landscape continues at Lands End. Recently completed trails and overlooks have created a safer and more scenic experience for visitors. These efforts have been enhanced by the new Lands End Lookout visitor center, which includes a park-themed bookstore, café, and other amenities. The Parks Conservancy’s Projects Department has worked closely with the National Park Service over the years to repair roads, rehabilitate buildings, improve trails, and provide interpretive and directional signage to help keep Fort Mason’s history alive and to care for this popular park site. Perched at the northern tip of San Francisco, the iconic bridge and surrounding trails, overlooks, and historic military batteries have been the focus of a number of Parks Conservancy projects. New and improved trails thread throughout the center of the Presidio, providing better connectivity to other major trails, and a more enjoyable experience for all who use them. The Parks Conservancy has supported numerous projects in the Marin Headlands over its 40-year history. But our work here is not done. Ongoing efforts, especially at Hawk Hill, will continue to protect sensitive habitats and rare species while creating improved trails and visitor access. The Parks Conservancy, National Park Service, and Presidio Trust have been working together for decades on projects to restore the area’s important habitats, improve its trails, and preserve and share its history. We care passionately for the Golden Gate National Parks. That's why we care deeply about the quality, durability, and sustainability of our work. Every project in these 80,000-acre parklands is thoughtfully planned and completed with the utmost commitment to the health of the environment and the enjoyment and safety of visitors. Learn more below, and then come out and experience our dedication to the parks! The Parks Conservancy teamed up with the Golden Gate Bridge, Highway and Transportation District, National Park Service, Presidio Trust, and City and County of San Francisco on a number of improvements prior to the bridge’s 75th Anniversary in 2012. Restoration at Hawk Hill has helped enhance endangered Mission blue butterfly habitat and prevent further degradation of historic structures by removing non-native invasive trees and restoring the native grassland. Over the next several years, the project will include new and enhanced trails, visitor amenities and signs, and continued habitat restoration and historic resource protection. 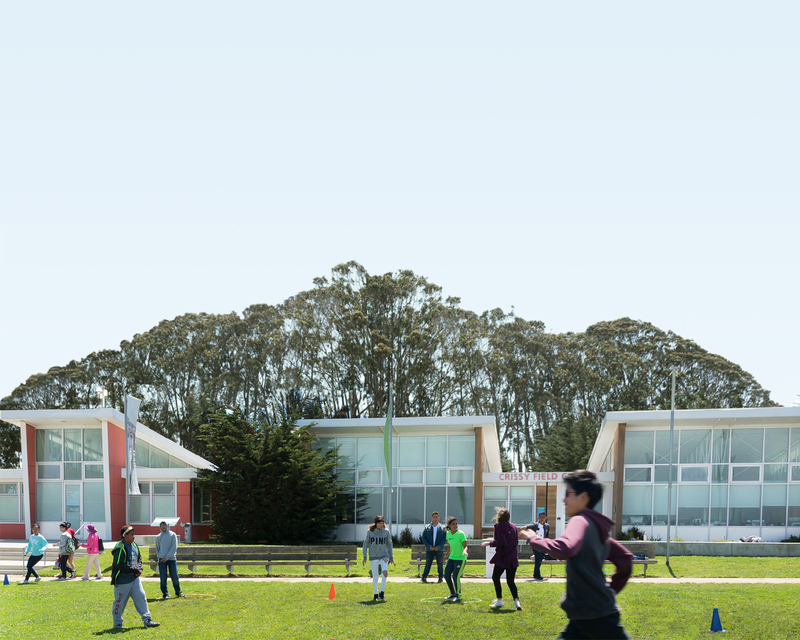 A number of major revitalization projects at Lands End have restored important habitats, improved forest health, opened vistas, created overlooks, enhanced trail experiences, and built a new visitor center. The Lands End Lookout welcomes visitors and orients them to the rugged landscape and evocative human stories contained within this site's panoramic views. Home to the mission blue butterfly, Milagra Ridge has been the focus of intensive Park Stewardship restoration and monitoring in San Mateo County. Community volunteers are helping to restore Mori Point and improve habitat for the threatened California red-legged frog and the endangered San Francisco garter snake. Just north of the Marin Headlands, Oakwood Valley features a hiking trail loop that winds through native grassland and the largest stand of oak and bay forest in the Golden Gate National Parks. The Parks Conservancy's Park Stewardship program works hard to protect these valuable resources by engaging the community and volunteers in restoration efforts.